Avatar allow users to give their online profiles an instantly identifiable persona. WordPress uses Gravatars as the default avatar platform. It allows WordPress users to have the same avatar displayed on any gravatar enabled website. However, in some cases you may not want to display gravatars on your WordPress site. In this article, we will show you how to disable gravatars in WordPress. First thing you need to do is log in to your WordPress site and go to Settings » Discussion. Scroll down to the Avatars section and uncheck the box next to ‘Show Avatars’ option. You will need to click on the Save Changes button to store your settings. 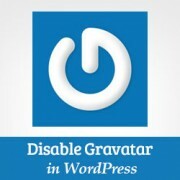 That’s all you have successfully disabled Gravatar on your WordPress site. Your comments will not show user gravatars. You will also not see gravatars anywhere in WordPress admin area. User gravatars will not appear on Comments and Users screen, your gravatar from WordPress admin bar will also disappear. 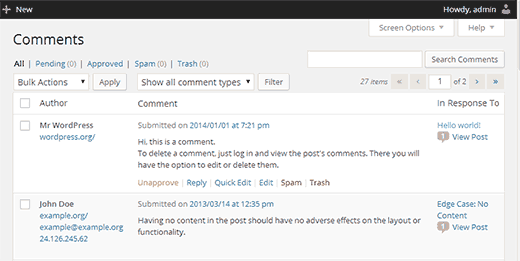 Even though you have disabled gravatar on your WordPress site, you can still show them selectively if you need. For example, you can display gravatar in author info box, or display gravatar from user email anywhere on your site. We hope this article helped you disable gravatar on your site. If you liked this article, then subscribe to our YouTube Channel or catch us on Twitter. It’s Very Useful For me at right now. Thank you !! Gravatar still calls home. You can see this when you use Ghostery – and a Gravatar tracker is still active. This does not comply with GDPR in my opinion. How can Gravatar completely disabled and ripped away from a wordpress blog??? Very helpful – avatar easily and successfully removed. Thank you! Very helpful advice and it works. But still leaves my name on the page below where the gravatar used to be. Any solution? I have successfully disable gravatars, but would like my gravatar to be displayed in the author info box. How can I accomplish this? Here is how to allow users to upload custom avatars in WordPress. how do you allow people to choose customs avatars? That’s possible. However, the gravatar will still be visible to crawlers. One reason that some users may not want gravatar could be that they are building something where they simply don’t need it. Is that possible to replace the Gravatar with another generic icon when the person commenting has got no Gravatar? This disables WordPress from showing Avatars, but it does NOT disable Gravatar. On the back end, it still calls home to Gravatar slowing your site down. What’s needed is the ability to rip Gravatar out of WordPress.